Ahead of the Brexit vote, Forex.com is raising minimum margin requirements. 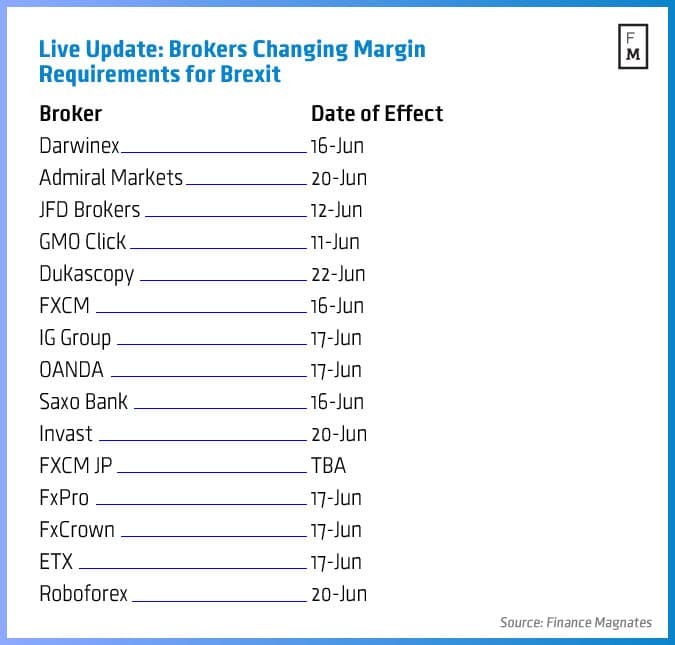 Ahead of the EU referendum vote next week in the UK, one of the latest brokers set to hike margin rates is Forex.com. The company announced that after the market closes this Friday on June 17th it will put in place temporary changes to its margin rate requirements to help clients’ reduce risk – as volatility is expected around time of the June 23rd event. Minimum margin rates for all UK indices and GBP crosses including EUR/GBP will increase six-fold from 0.5% to 3% after the close of trading this week, and will thus affect traders when markets open again next Sunday. In addition, minimum margin rates for EUR crosses, EUR indices, and US Indices will be doubled from 0.5% to 1%, according to the update. The company noted that the minimum margin requirements may be higher for positions with greater than $1 million in notional value, and emphasized that there could be further changes made to client account rules as the Brexit vote approaches and encouraged clients to check back frequently for updates. Forex.com offers a number of Brexit webinars and trading guides for clients seeking to make sense of how the event could affect market prices and described that the event could be one of the biggest of 2016 for trading – as high volatility and rapid price movements or price gaps could occur in the market. On this basis, the company noted in a related post on its website that clients should actively monitor their positions, and make sure they have adequate funds in their account to maintain minimum margin requirements, and not to over-leverage themselves. As the change is set to go into effect after the close of trading this Friday, any clients with minimum margin in their accounts, that is sufficient based on the current requirements, but under-margined going into the weekend under the new requirements, may see their trades closed automatically due to a lack of sufficient margin when the new temporary margin rates kick in. As if holding positions over the weekend wasn’t risky enough, due to risks from geopolitical and global events that can take place when markets are closed, the week ahead and the accompanying weekends could precede large market gaps, leading to significant profit/loss scenarios. Furthermore, many participants are aware that during such price gaps, stop-loss orders may do little to protect losses as the fillable prices could be vastly different from the price-level trigger of the stop-loss order. 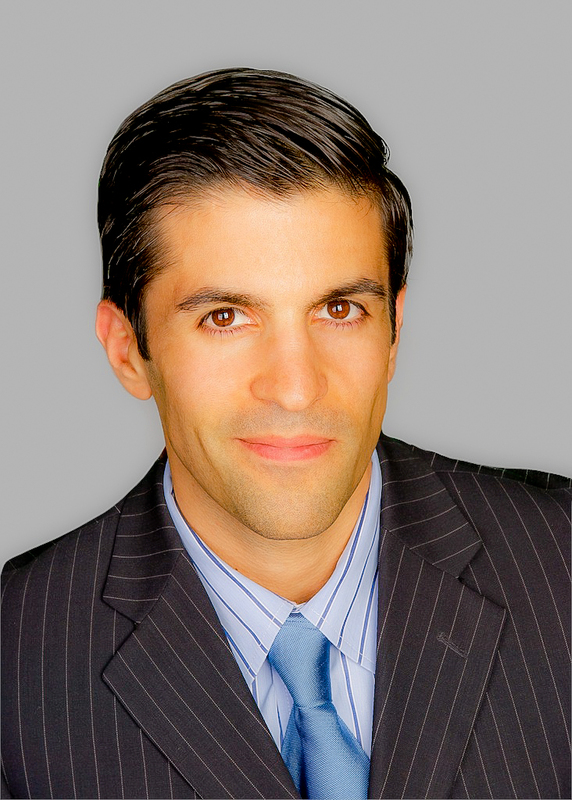 The use of FX options could be a solution to hedge risk or participate in volatility although option premiums are already inherently expensive for related assets correlated to the Brexit vote – due to the high levels of implied volatility that are expected – which affects the price calculation for premiums. Therefore, downsizing positions could be one way to reduce risk – along with profit potential – as extreme prices moves may follow in the days ahead, during and after the Brexit vote. The news follows Finance Magnates’ coverage of the broker’s parent company GAIN Capital which released May trading volumes that we reported last Friday, and as June could be a far more volatile month as the Brexit vote approaches.